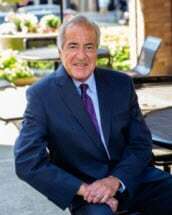 In 1980, Mr. Levin left the State's Attorney's office and joined the firm of Dupont & Tobin, LLC, handling a wide range of matters in the general practice of law from business formation to wills and probate and family. His practice focused on matters of concern to working families from workers compensation to civil and criminal litigation. Encouraged by his partners he entered back into politics as a candidate having previously run campaigns and served for many years as a State Representative from New London. After narrowly losing the nomination for Attorney General to Richard Blumenthal, Mr. Levin founded a government relations practice in his New London law firm (then Tobin, Levin, Carberry & O'Malley and now TCORS). He then took that practice to Pullman & Comley, LLC. in Bridgeport, and in 1999 formed Levin, Powers & Brennan, LLC. in Hartford. His new practice is called Jay B. Levin Government Relations Consulting. Among his many lobbying clients are PSEG Services Corporation of Newark, NJ; RCI Marine of Miami Beach, FL; Cross Sound Ferry and Thames Shipyard, New London, CT; Lawrence & Memorial Hospital, New London, CT; First Hartford Partners, Manchester, CT; Chamber of Commerce of Eastern Connecticut, Waterford, CT; National Reverse Mortgage Lenders Association, Washington D.C.; Elevators Local 91, East Hartford, CT; and lronworkers Locals 15 & 424.